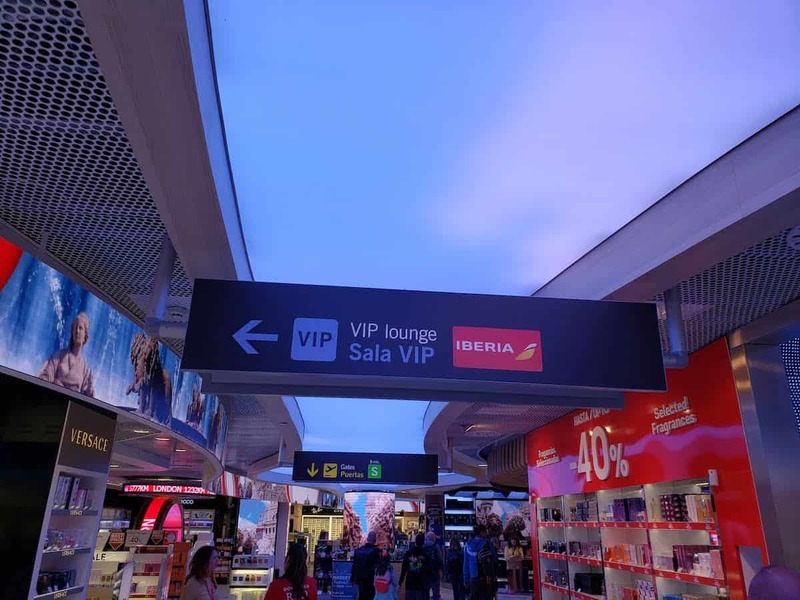 There are two Iberia lounges at the Madrid-Barajas Airport (MAD). One in Terminal 4 and one in Terminal 4S. 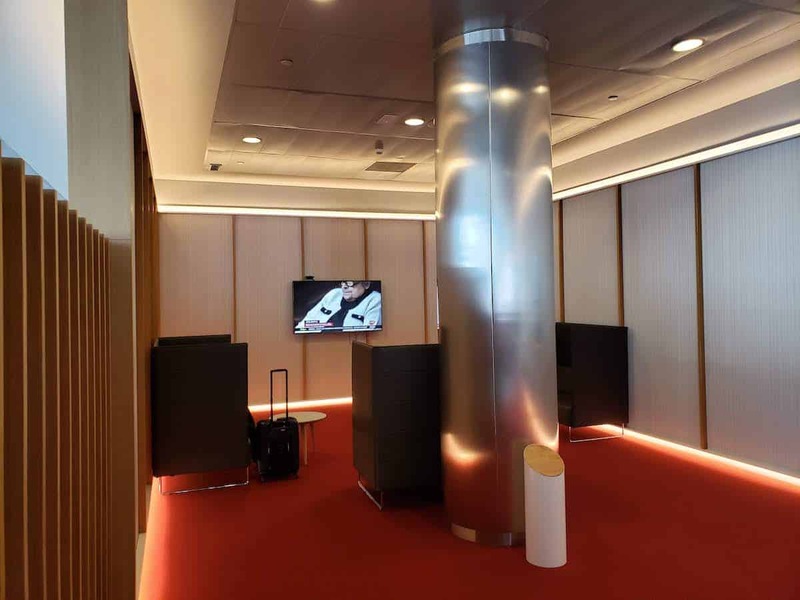 I already posted about the Iberia Dalí lounge in Terminal 4 where most short haul flights depart from. 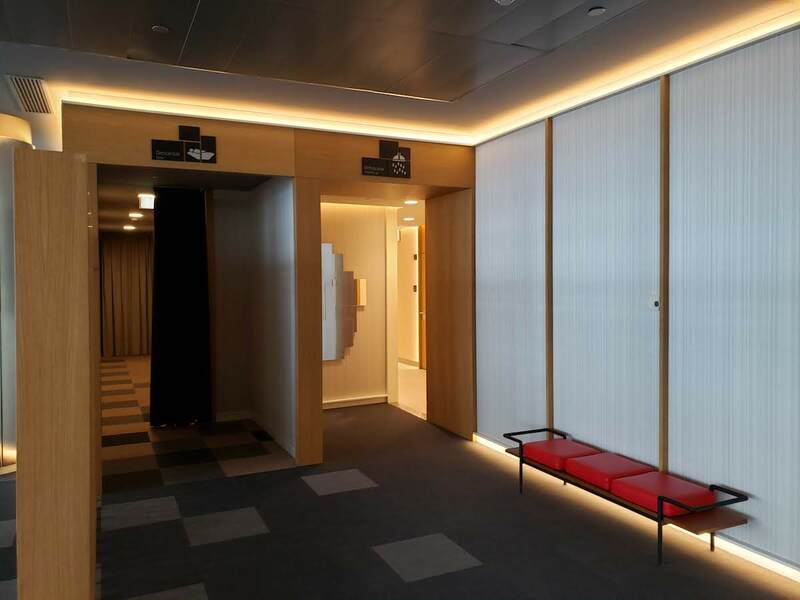 For longer flights to Europe and the rest of the world, most departures take place in Terminal 4S where you will find the Iberia Premium Lounge Velázquez. 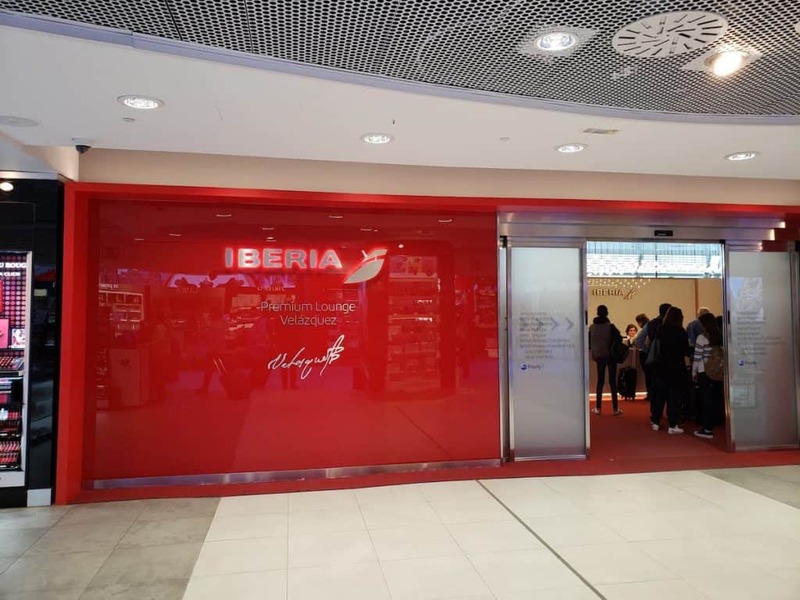 The Iberia Velázquez Lounge is located in the Duty Free store on the main level of the terminal. Overhead signs point you in the direction. The lounge check in desk is roughly in the middle of the lounge. 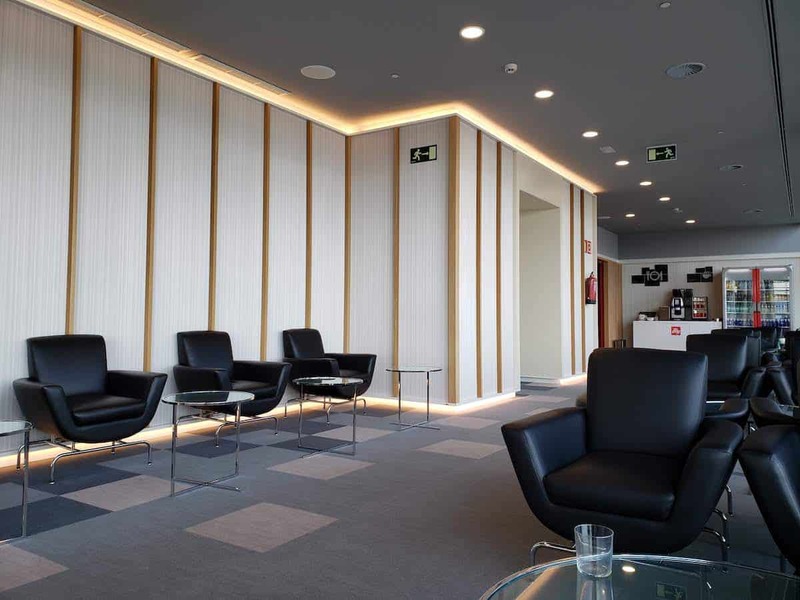 Those flying in Business Plus Class on Iberia or Business/First with a partner airline have access to the Lounge. 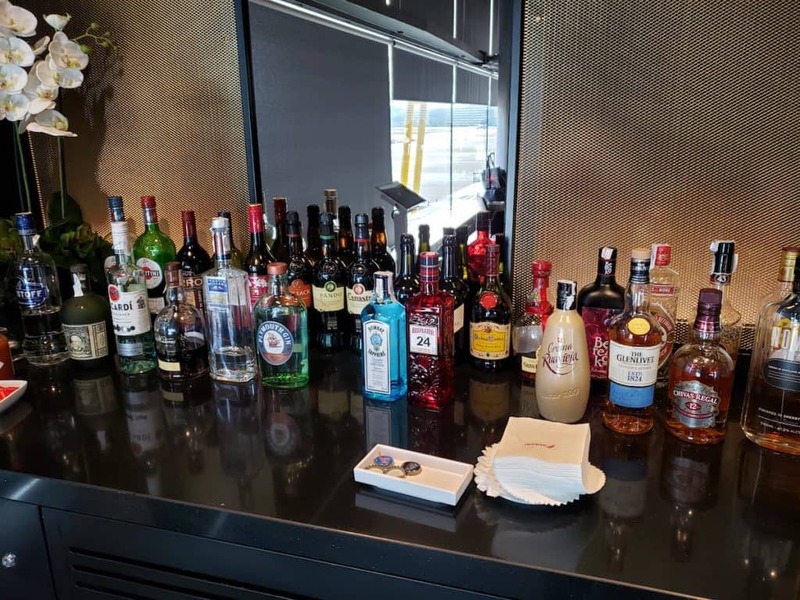 As do those elite members with oneworld. 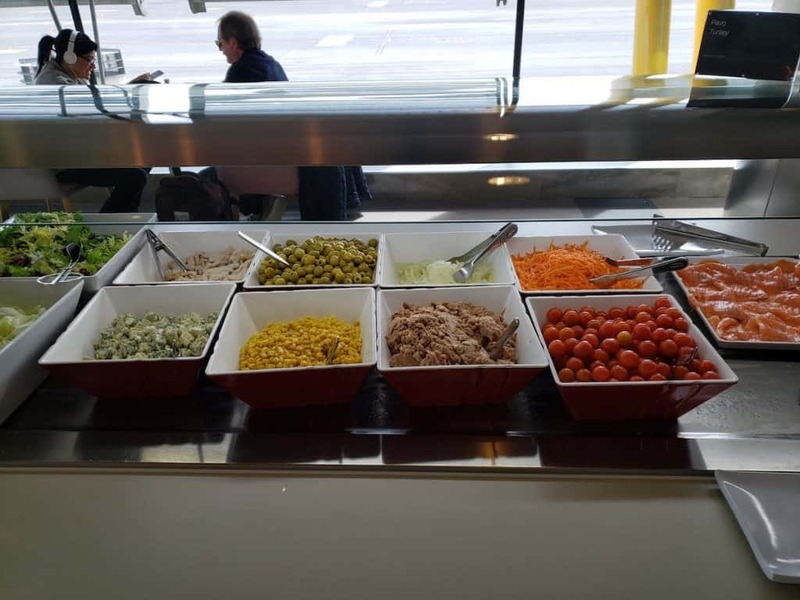 Both sides of the lounge have nearly identical food buffets with basic lounge food throughout the day. 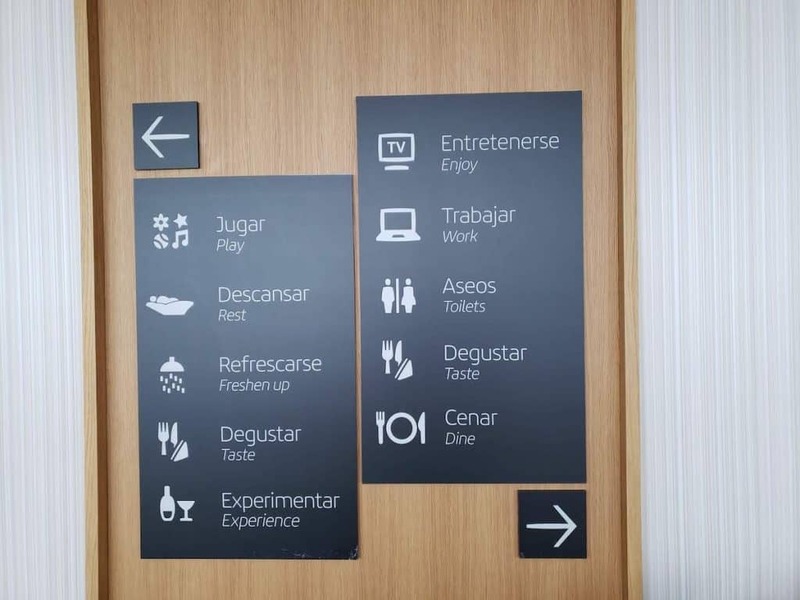 As you enter, to the right are the showers, rest area, and kid play area. 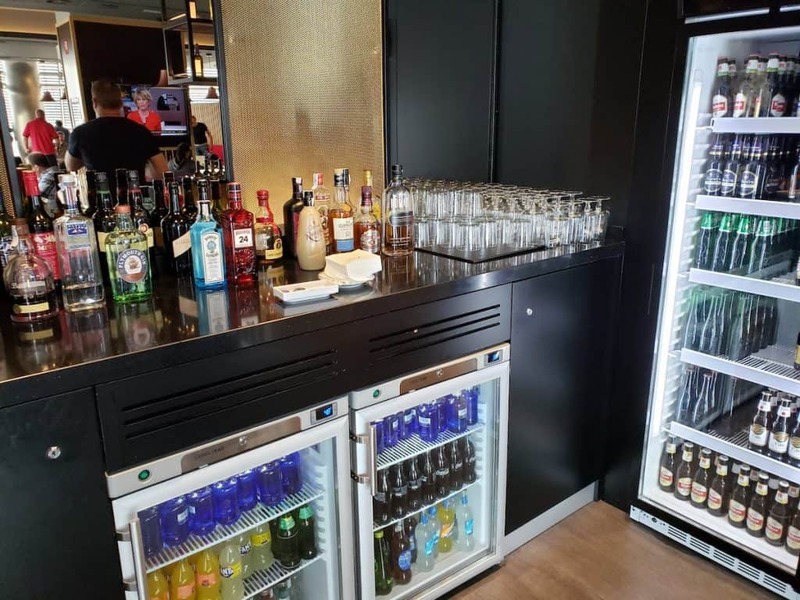 At the end of the lounge is the self service bar area. Back at the entry, if you turn left you come to the restrooms and TV area. At the end of the lounge and around the corner, somewhat hidden, is the dining room where you can have a full service, order from a menu dinner. 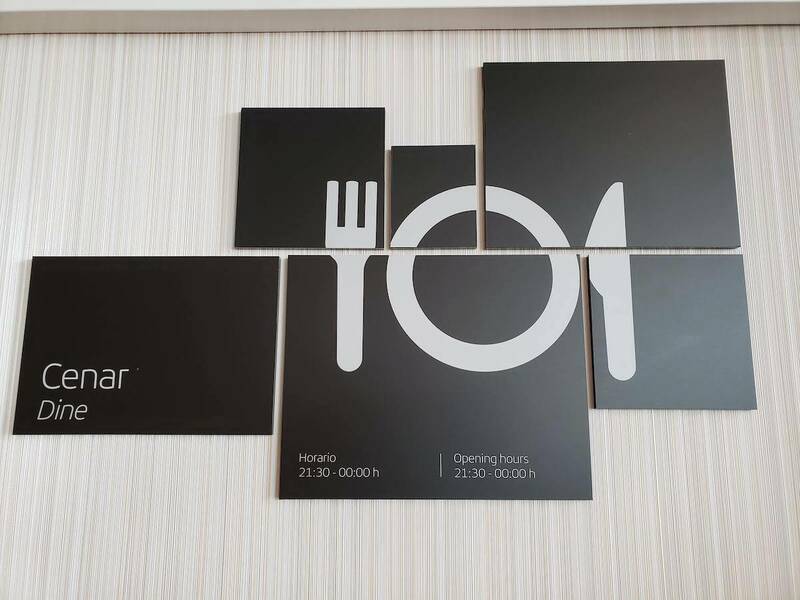 However, this area only serves meals from 9:30pm to Midnight, despite what is written on the website. 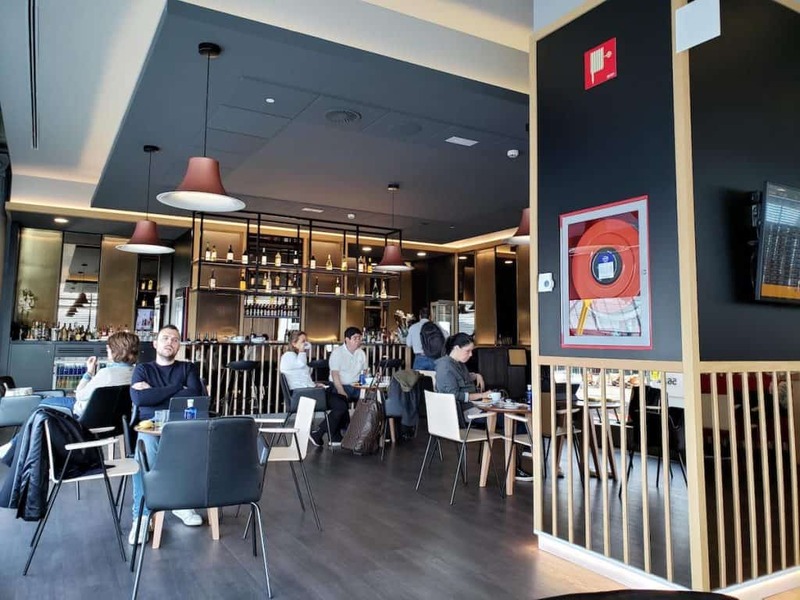 Like the Dalí Lounge, the Velázquez Lounge can be quite crowded depending on the time of day you visit. It can be difficult to find a seat; however the guests turnover quickly so if you wait a bit something will likely open up. 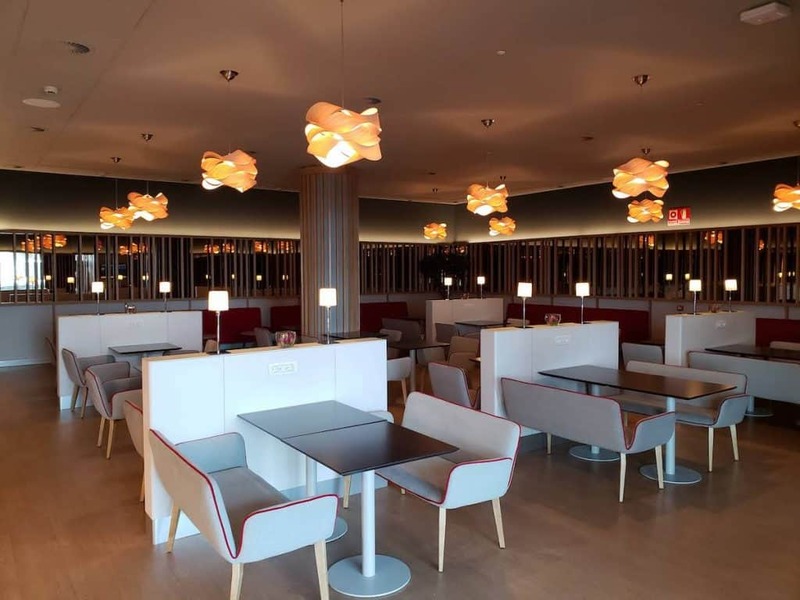 The dining room, though not serving food except for at night, is open at all hours as a place to sit, so check it out if you can’t find seating elsewhere in the lounge. 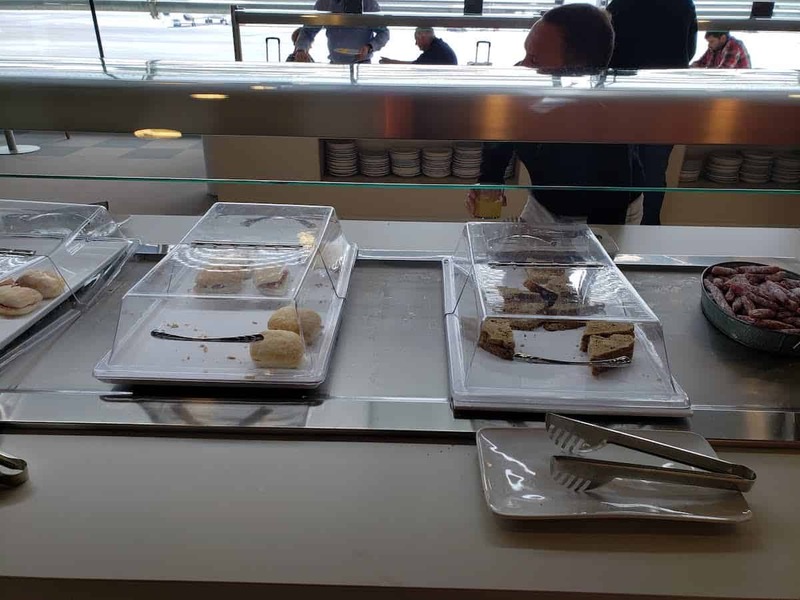 The major difference between the Velázquez and Dalí lounges (besides locations) is the full service dining provided at the Terminal 4S lounge. If you are going to be at the airport between 9:30pm and midnight, the Velázquez is the better lounge in that you can have a real meal. Otherwise it is a toss up. 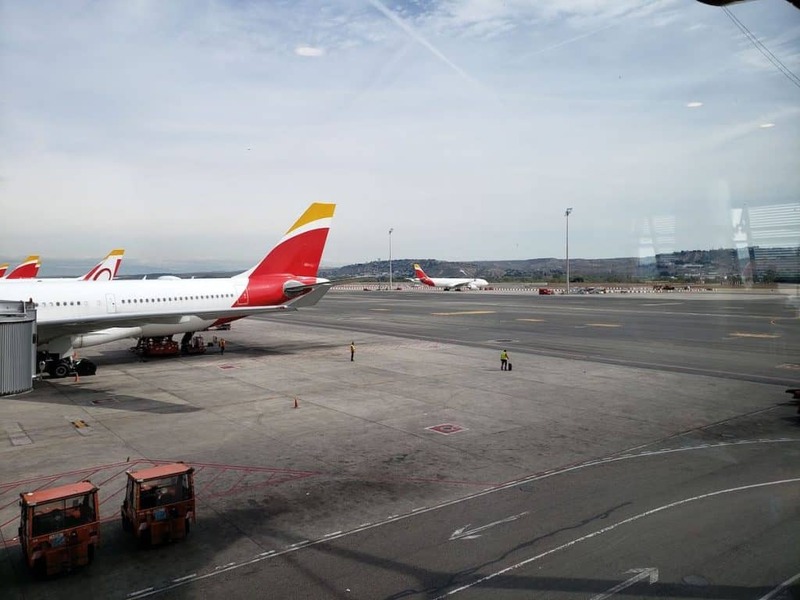 Have you been to either Iberia lounge at the Madrid Airport? Which do you prefer?